This machine puts a string between two pieces of patch and fixes it together with hot melt glue to make a hand grip. The handle material can be twisted paper string, twisted p.p. string, acrylic round string ribbon string, also semi-round string etc……The handle making machine is installed parallel to the main machine. It’s possible to install it on either side of the main machine, according to the space. Handles or cut cardboard are pasted to the mouth of the main sheet paper to be folded. 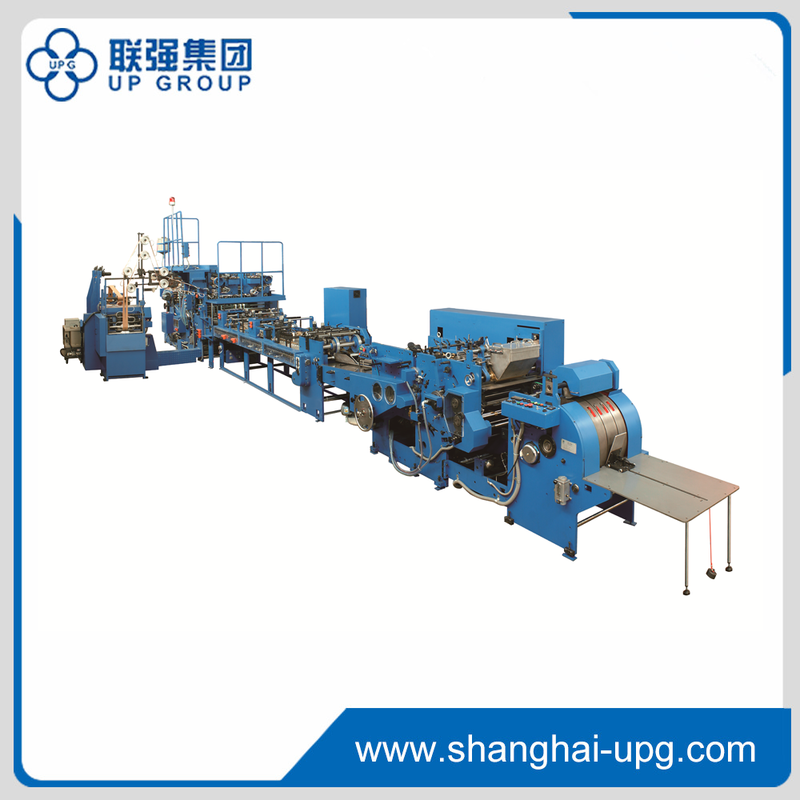 This is a sheet paper notch cutting, a mouth pasting, a handle or cardboard applying, folding and pressing unit. This unit punches two holes for string or four holes for happy tags. In the case of two, there are 3 kinds of punches. (4, 6, and 8mm). According to the machine type, it’s possible to set the interval between holes from 80 to 200mm. It’s now possible to set up a banana type hole cutter option.